Brave Moms inspire friends to get involved! I want to thank each and every one of you for your continued support of Women of Compassion (WOC) and Florida Baptist Children’s Homes (FBCH)! Together we have accomplished so much for God’s kingdom over the last decade. It is exciting to think of what we can continue to do for God’s purpose and His children. I have been traveling with my husband this summer for his work as a broadcaster at FOX Sports. While approaching baggage claim in Boston, we ran into two old friends from the PGA Tour: Brad and Sue Bryant. Paul and I were motor home neighbors with the Bryant family when we were young and just starting life on tour. We enjoyed many fun times and made lasting memories during those early years. As we were catching up, our conversation turned to FBCH, and I happily realized that Sue and Brad are also very involved with the ministry. I invited Sue to attend our WOC event next year and shared how WOC had chosen to give $50,000 to fund a jumpstart/emergency fund for the Brave Moms program. Her face lit up as she described her involvement with Brave Moms as a mentor to Emma (pictured left). You may remember Emma and Bella from our luncheon; I know they made a big impression on me. I was thrilled to make the connection between my sweet friend Sue and Emma. Sue has inspired me to get involved on a more personal level with Brave Moms and their children. Maybe you feel the same way. I am praying for God to use me to make a difference in the lives of these young women and their children. By loving and supporting Brave Moms, their children can have a more stable home life and be exposed to the love of Jesus. If you would like more information about becoming a mentor to a Brave Mom, please visit the website or call 863-687-8811. Heather (pictured right) is a single mom of two sons who recently graduated from the Brave Moms program and moved into an apartment. 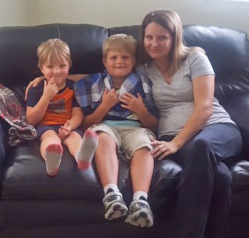 The jumpstart fund enabled Heather to purchase some much-needed household items for her new home – pots and pans, a microwave and a couch. Heather is grateful to the Women of Compassion for helping her make the transition to independence. We are so proud of Heather and her accomplishments! 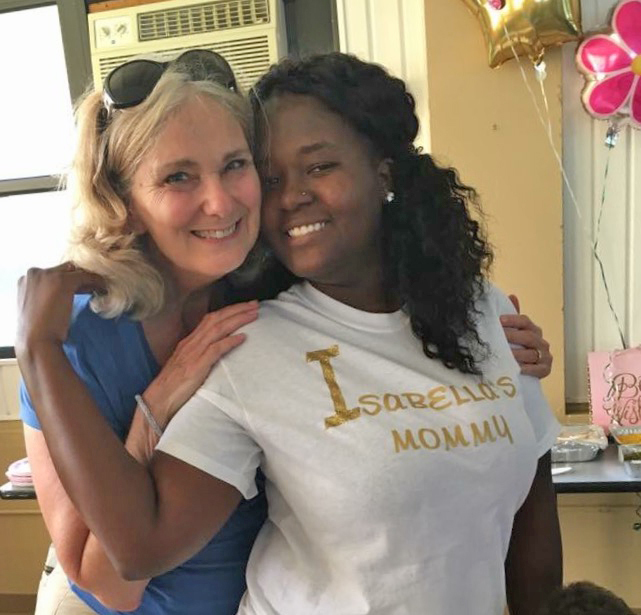 Precious Emma recently completed the Brave Moms program and moved into her first apartment. A generous donor provided Emma with a used car which required minor repairs. The jumpstart fund paid for these repairs. A working vehicle will now allow Emma to pursue a degree in nursing beginning in August. Please pray for Emma as she juggles school, work and precious Bella. You can do it Emma! Monique (pictured right) is another Brave Mom with five children. 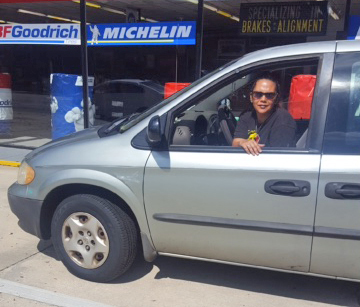 Her minivan had become unsafe for her family as it needed a new radiator, other mechanical work and new tires. Monique now has peace of mind, knowing her vehicle is safe and secure. She is grateful to Women of Compassion for the blessing of reliable transportation. Keep up the good work, Monique. Find a good friend and inspire them to join you today! If you have questions or would like more information about how to become a member of Women of Compassion, please email Pam Fuller or call 863.687.8811.